Taiwan is just one small country but it can take the wind out of your sails with its gigantic and fascinating assets. One of these is Taipei 101. Before the famed Burj Khalifa erection in Dubai U.A.E. was completed in 2010. Taipei 101 has been the tallest amongst all skyscrapers in the globe since its inauguration in 2004, outdoing the record of Petronas towers in Kuala Lumpur. 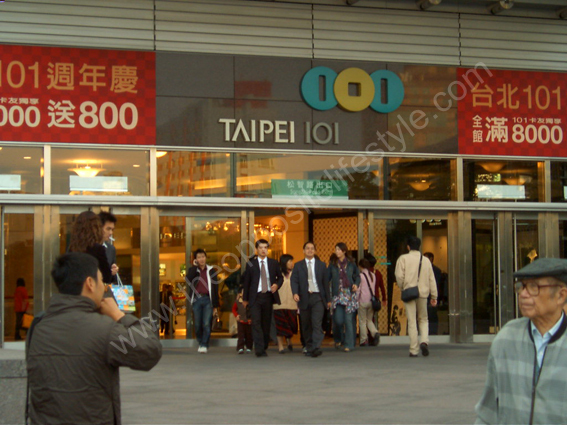 Taipei 101 is specifically located at the Xinyi District in Taipei-the capital of Taiwan. I made a quick visit to Taipei during my business trip to Taichung, another city located at the center of the island, just to have a close look at this incredible landmark. The Taipei 101 tower, as the name implies, has 101 floors from the ground up and has five underground. At first glance, I was both fascinated and cynical with its uncanny architecture. Just by virtually looking at its area with respect to its height would somehow frighten you incase a caustic earthquake takes place. It is like a very long fragile stick that stands right in the middle of the city. But for all we know, Taipei 101 is one of the most stable buildings ever constructed and was designed above safety standards. It was built to withstand the destruction earthquakes, typhoon any other natural disasters that commonly occur in the Asia-Pacific region can bring. 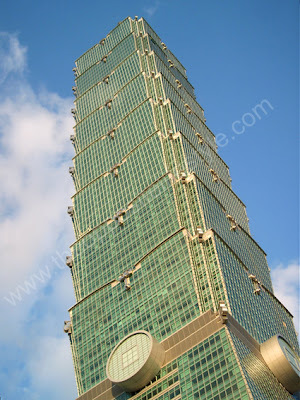 This is what made Taipei 101 unique amongst other skyscrapers in the world. 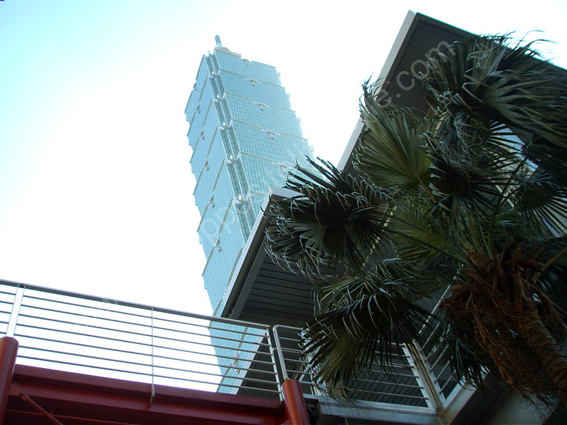 The bizarre height and area ratio of Taipei 101 joined with the exigencies of its environment underwent additional innovations in its design. To resolve my skepticsm and feed my curiosity, I made a quick research about its structure and found out facts that show how brilliantly this tower was built and how genius Taiwan is. The Taipei 101 Tower was constructed with the use of high-performance steel constructions to achieve both strength and flexibility. Its structure is so solid it didn't have any structural damages when Taiwan was hit by magnitude 6.8 earthquake back in March 2002 during its construction. I went inside the tower to get a close encounter and see what's inside. 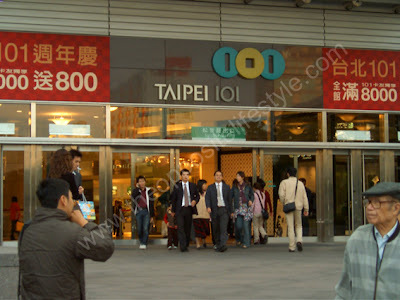 I learned Taipei 101 is not just built specifically for business but for leisure and recreation as well. It was also packed with technologically advanced features that put me into an amazement beyond description. It was the first time I saw double deck elevators with state-of -the art speed it can take you from the 5th floor to the observatory in the 88th floor in just more than 30 seconds. How quick is that. Its ground up to the 6th is a shopping mall with lots and lots of good stuff to see and buy. It has low, mid, and high zone office floors from the 9th floor up to the 84th floor and it has an observatory in the 88th and 89th floor. Unfortunately, time didn't permit me to see everything inside but the fact that I get to see it and experience the tower first hand was just as good. I like how it looks. It's modern, with a lot of grass and mirror surfaces, but it has some Asian soul. But it's not only about buildings. I found Asians amazing at all. Because they had so poor economy before the ww2, and then they did enormous job. And now they have one of the strongest economy in the world.